Exploding Doughnut: Questions and Answers. It was an honor to be asked and I just couldn't say no. The wonderful Anna T. from See. Be. Draw. is launching a new interview series on her blog and I'm one of the first she's chosen! I found Anna's blog shortly after starting my own and love her mindful approach to making art. From an artist's standpoint, reading her blog makes me think about why and how I create. She introduces the introspective and meditative element to art. Creating with purpose. I was supposed to give my gut-reaction response to each question. Hopefully I expressed myself adequately and gave some insight too. 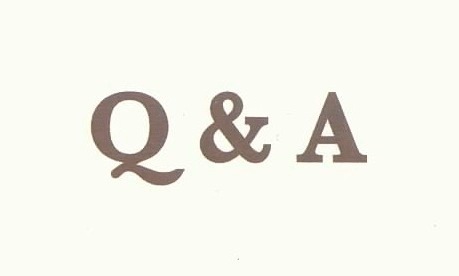 So hop on over to her blog and read my answers to Anna's questions, won't you? Go me and go Anna T.! Nice interview — good questions and clear answers. Some of what you say puts into a few words what we've seen you do, and some of it gives interesting insights ito how you approach your work. Oh, Dean, what a kind post! Thank you so much for taking part in my interview series - I found your responses very insightful and inspirational! Go Dean!! Wonderful. I learned a thing or two about you. Thanks! Congratulations! I'm once again sorry for the delay. So much has been going on. It's been hard on me. I'm glad my answers were clear! Ha, I don't know about that, Dave! I hope things get easier for you SOON! I appreciate everyone taking the time to read this interview!